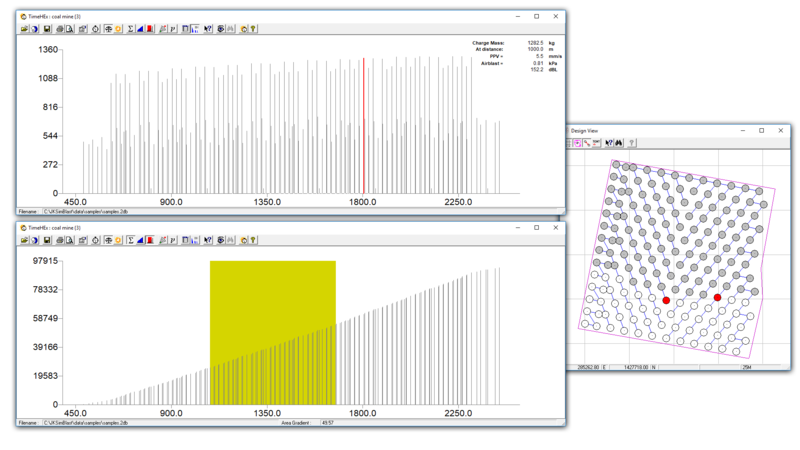 JKSimBlast is a comprehensive suite of programs for blast design and analysis. It is available as stand-alone modules and three packages. A beta release of JKSimBlast v3, called JKSimView3 (SV3 for short), is now available, as of March 2017. SV3 has been developed as a 3D viewing and reporting program, to be integrated with the JKSimBlast v2 modules 2DBench, 2DRing, 2DFace and JKBMS. All packages now optionally include JKSimBlast v3 viewer, JKSimView3. 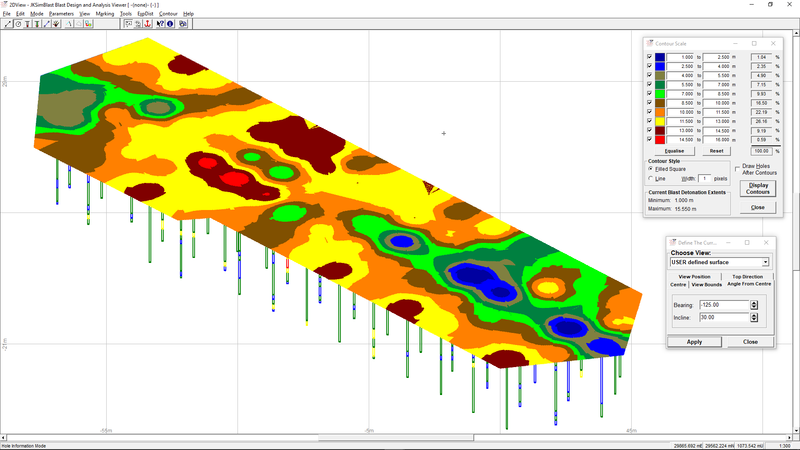 2DView provides basic 3D viewing of all blasts and extended versions of the energy and contouring analysis. TimeHEx (TIME vs Holes and EXplosives) analyses the effects of timing and charge mass. For more information, contact one of the Agents. For information on Support and Maintenance, go to Support.